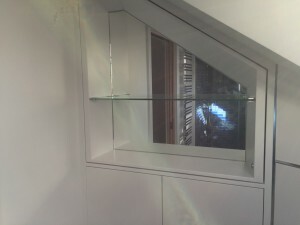 Glass Shelves – MyColourGlass offer glass shelves in any size and thickness. Bespoke glass shelves have so much to offer, not only in function, but in styling. Glass shelving can fit anywhere in your decor, and in any room. They even look fantastic in a nursery. The really good thing about glass shelves at MyColourGlass is you do not have to stick with the standard clear glass shelving. You can go solid back painted colours or even a tint. Suppose you have a baby girl, you might want to try a pearly pink for her room. Or, of course, if you have a boy, blue has always been popular. “Now-a-days” the decor in the nursery is going more contemporary and bold, even though teal, mint green, and yellow hold strong (often mixed with browns and blacks). You can actually do a walk through your entire home or business, and assign different modern glass shelving in a beautiful and luxuriant way. As stated before, it is not only beautiful, but very functional with a nice clean appeal. How Can You Use Bespoke Glass Shelves In your Contemporary Decor? As mentioned earlier, you can use custom cut glass shelving in any room of your home or business. Lets do a walk through of the average home. There are so many possibilities we will not be able to touch on them all, but lets look at a few. Bespoke Glass Shelves in the Master Bedroom & Bath- Glass shelving seems to be made for the master bedroom and bath area. You can begin with over your bed, better yet, why not frame the entire head of your bed with glass shelving. Eliminate the common night stands and go ultra contemporary with tinted glass. Light purples and sea blues would look fantastic. You could even try “see through” glass lamps on each side, or modern glass swag lighting over head to compliment the glass work. Glass wall cladding would be really beautiful. As you make your way into the master bath you will immediately notice the wash area. You open the mirrored cabinets and notice the most beautiful glass shelving inside of any colour you can dream of. The solid colored towels grace a beautiful display of glass shelving. You can not help but notice the slender Bespoke glass shelving gracefully complimenting the “frameless” shower and bath area combination. 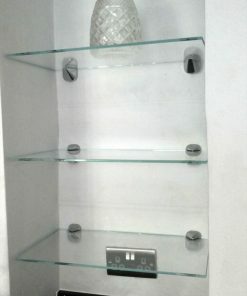 Bespoke Glass Shelves in the Entrance Way- Glass shelves in the entrance way are very elegant and grand. As you walk in the first thing you notice after the elaborate brass coat stand with a matching umbrella holder, is the glass shelving lining the entrance way of a sea green. The gray marbled tile floor only sets it off more as you step into the main area of the home. Here it is richly cladded in a deep cobalt blue with traces of delicate white trim, causing you to feel very heavenly as you spy the garden through the large expanse of floor to ceiling windows tinted a slight gray. What more could one ask for? Glass shelving at MyColourGlass is made from 100 per cent “toughened” glass made for many years of service. Take time and talk to our designers and glass experts at MyColourGlass and see how investing in Bespoke glass shelves can grace the decor though out your entire home. Whether you have an awkward small space in your home that you’d like to repurpose, or you’d like to add some subtle design touches to your home organisation, glass shelves are a great choice. 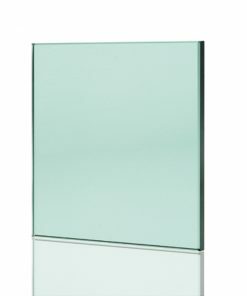 We use 6, 8 or 10mm toughened glass, with the edges polished, to make sure that your shelf can endure years of use. 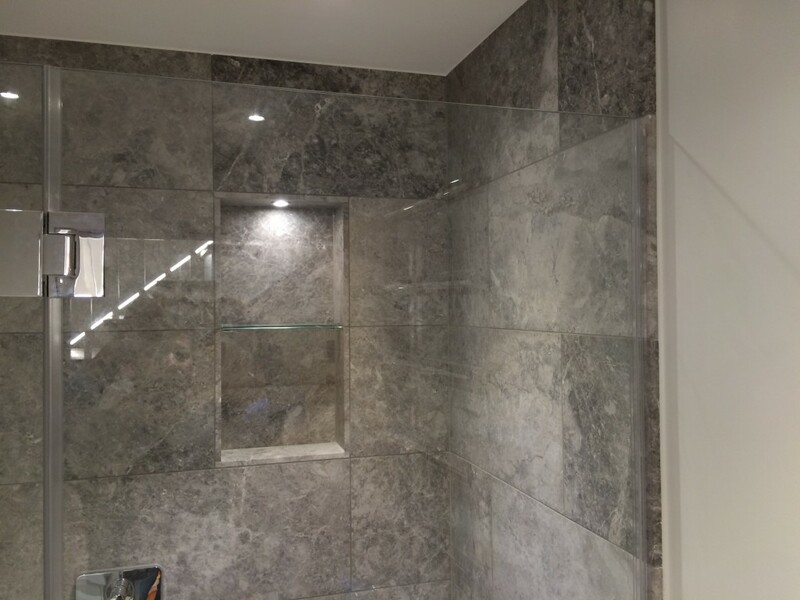 We can also cut the glass to any size, ensuring that you’ll have a flawless fit in your home. Glass Shelves are easy to clean and match many different types of interior decor. Glass also provides an elegant look and allows light to filter through, which can make it a good option for displaying certain items, including delicate fixtures. 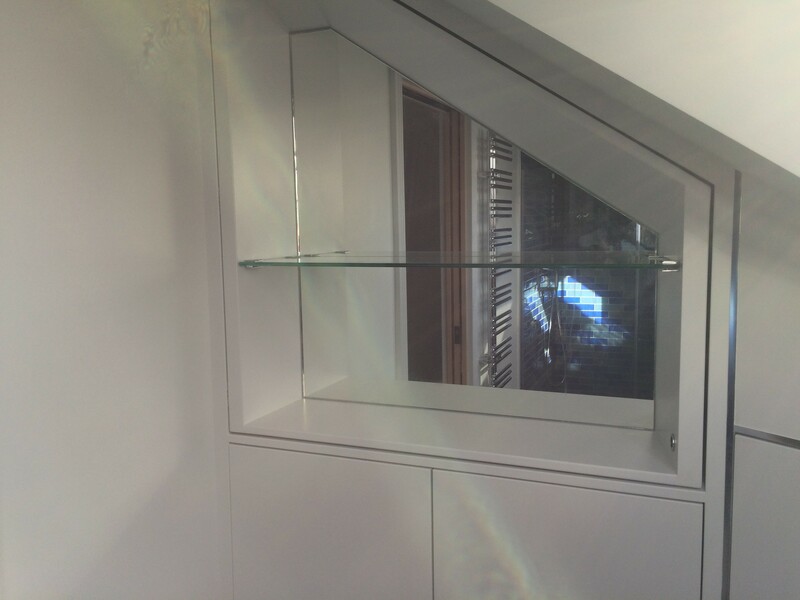 Since we produce bespoke cuts, your glass shelf will fit perfectly into any space in your home. If you’re looking for a little more splash to your home decor, we can produce custom glass shelves for you in our signature coloured look! We offer an array of colours, including those in the Dulux and RAL systems. We will also colour match an existing sample if you have a particular shade in mind. Produced like our other glass products, the coloured shelves are made with 6, 8 or 10mm toughened glass to ensure your shelf will last. Unsure if glass shelves are right for you? If you are having difficulty creating space, both in reality and visually, glass is a good option to consider. Since glass shelving is relatively light and can be mounted, adding shelving could help you organise around the home. Since the glass does not necessarily have to be contained in another piece of furniture, like a cabinet, it also reduces visual clutter and “heaviness” involved when adding a fixture in your home. When you want the best materials and service, choose the experts at MyColourGlass. We use only the highest quality products and are proud of our attention to detail and workmanship. You can be assured that the glass we use adheres to all safety standards. We promise total satisfaction with our work once the project is complete.